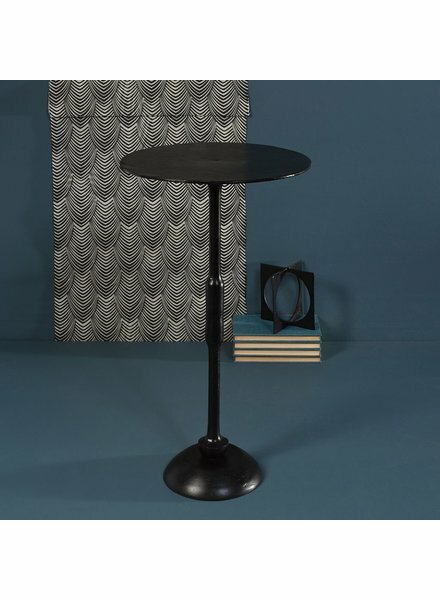 A stylish update on the classic French gueridon in classic coffee and side table proportions, the tailored design of the Savoy Tables combines matte, black waxed finished iron and cool, dark ebony stone together in harmonious style. 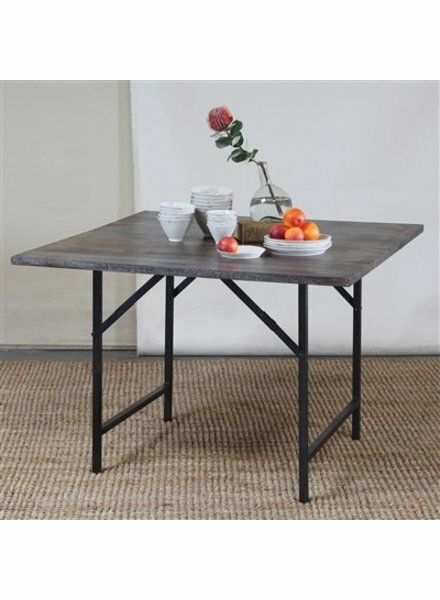 Crafted of forged iron and waxed mango wood in a warm grey stain, the Camp Folding Table features collapsing legs for storage or transportation. 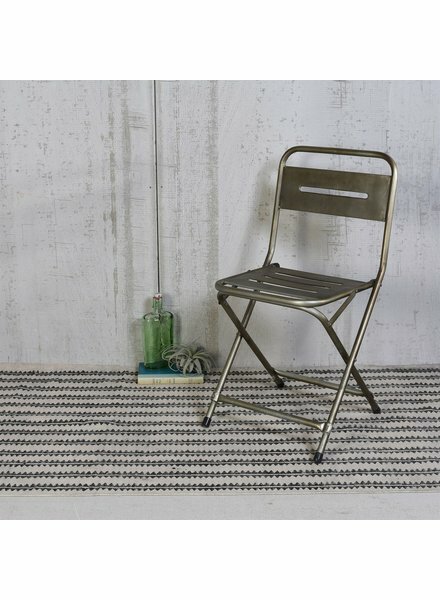 An uptake on a bistro set with a nod toward utilitarian design the our folding design of our Waller Chair and Side Table is great for small yards, sitting in comfort under the sun then folding them away when not in use. 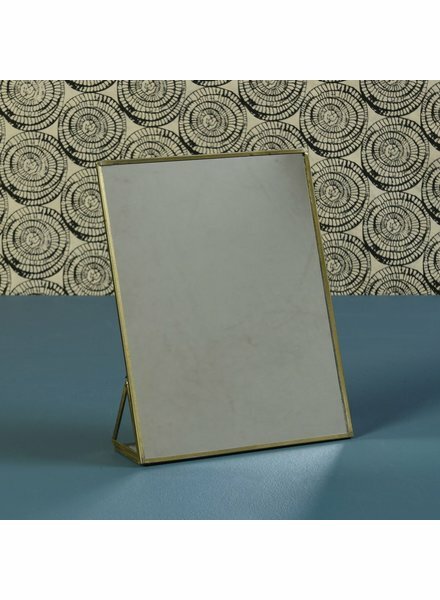 Our Monroe Vanity Mirror has clean lines and classic brass edging that give it a sophisticated look. 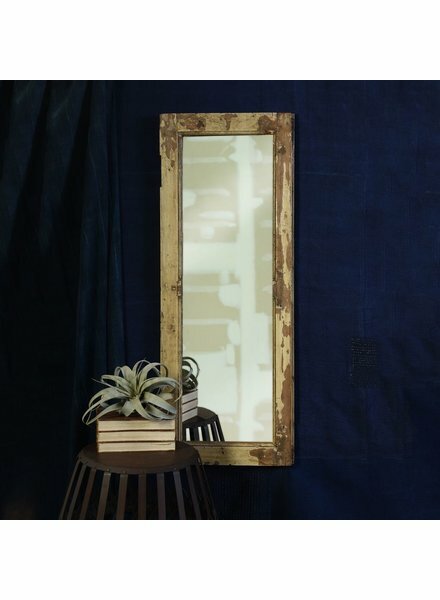 This stylish mirror includes an easel on the back so you can place it securely on a table, shelf, or vanity. Available in 3 sizes. 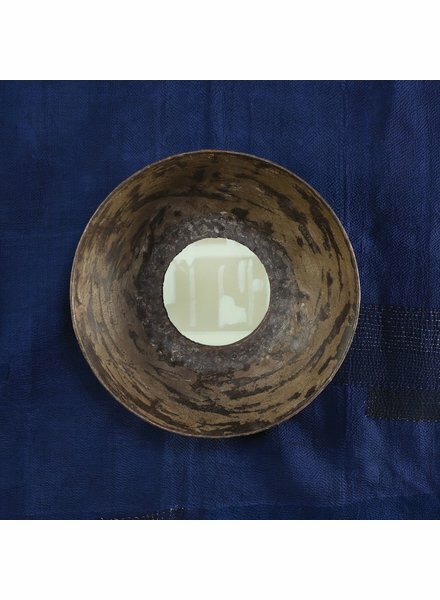 Salvaged Metal Bowls, which were once used for the transport of rocks and soil, are given a break from the heavy lifting and turned into a concave form for a mirror. 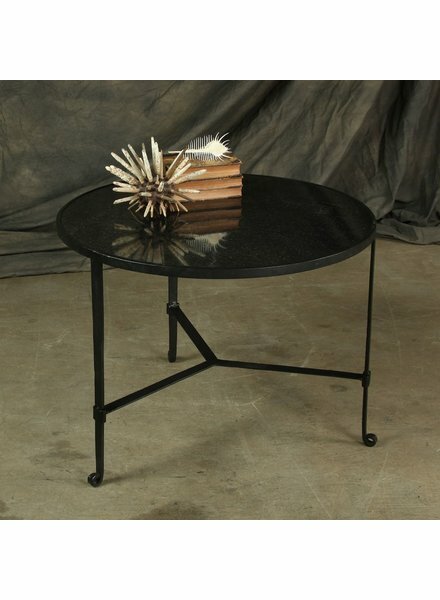 Each piece is unique, shapes, sizes and finish will vary. 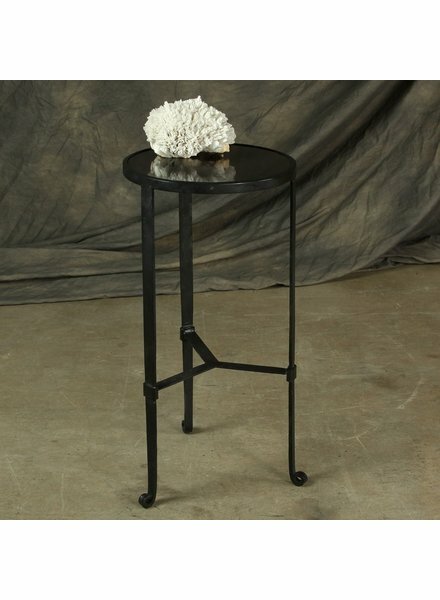 The slender silhouette and compact proportions of the Devon Side Table allow it to be tucked neatly beside a sofa or chair. Cast of aluminum. 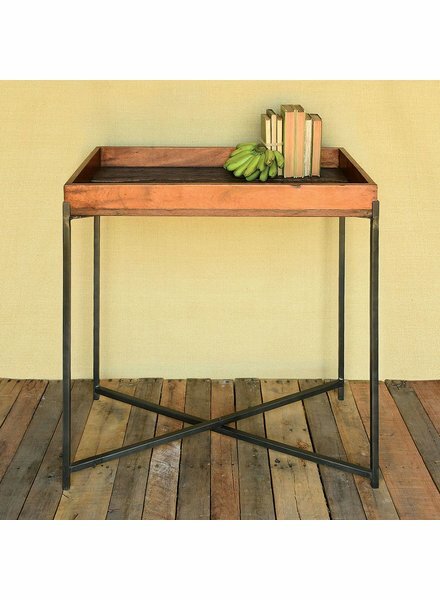 A sleek metal collapsible iron frame supports a wood tray crafted of rustic, salvaged wood. 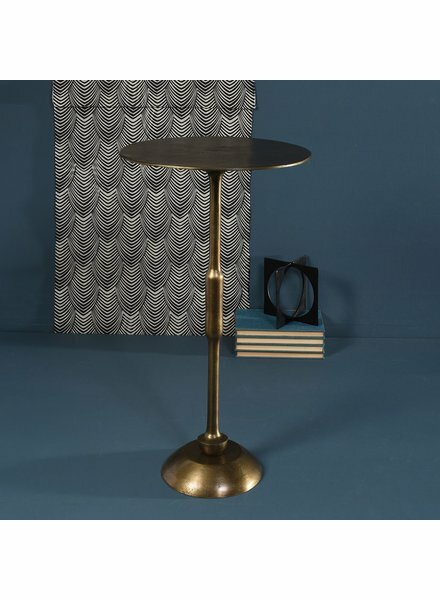 The pairing of materials offers a pleasing interplay and a tray table that could pop up easily as a bar or appetizer station and then simply stow away. 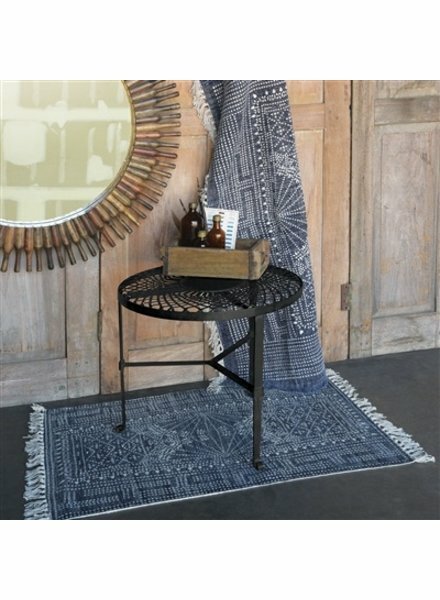 The Axle Wall Shrine is created from the old wood axels of camel cart wheels. 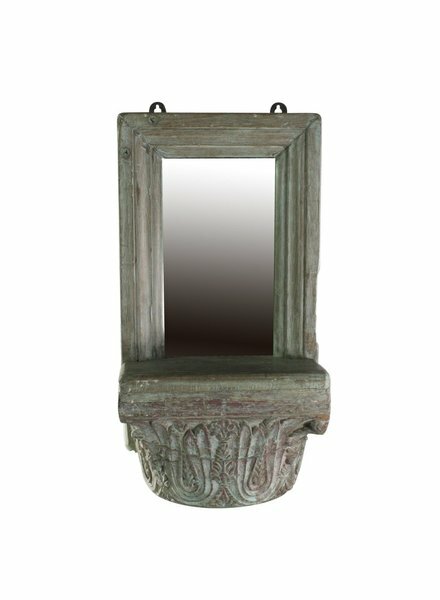 The inset mirror provides a tiny ledge for a treasured talisman, wherever the Axle Wall Shrine is hung is certain to be a radiant focal point. 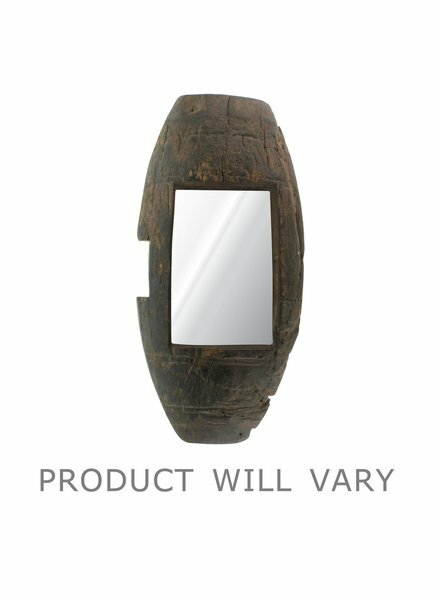 Each piece is one of a kind. 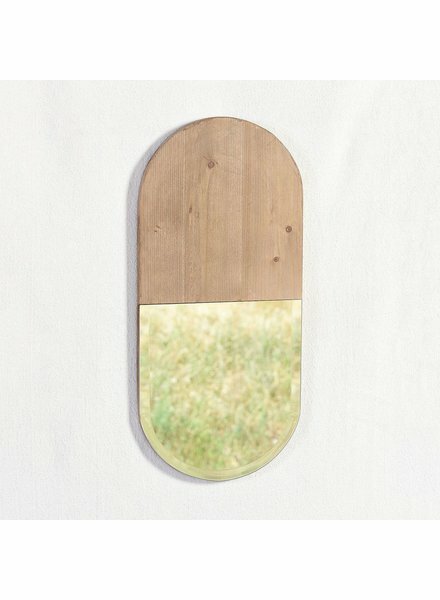 These mirrors have a simplicity we admire and a balance we relish in. 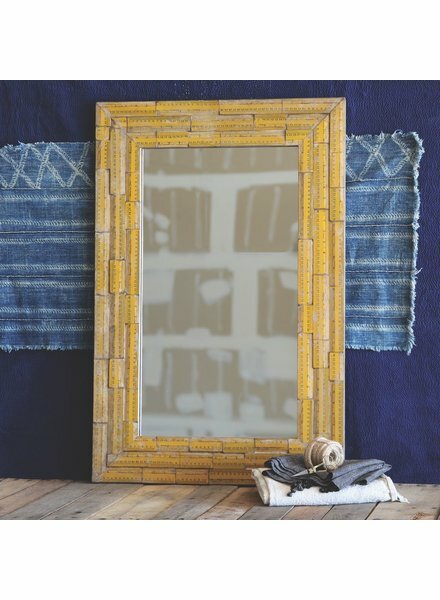 The smooth wood grain is balanced by the crisp beveled mirror bringing unexpected dimension to the wall. 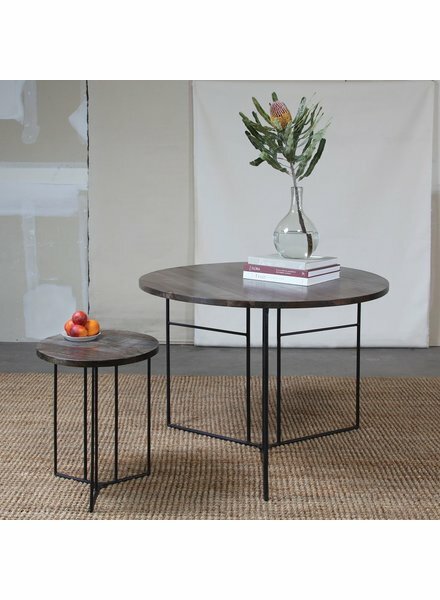 A technique that is native to the Shekhawati region in northern India, the intricate metal weave is achieved by a repetitive process of heating and bending, earning this table a true metal of honor for craftsmanship. 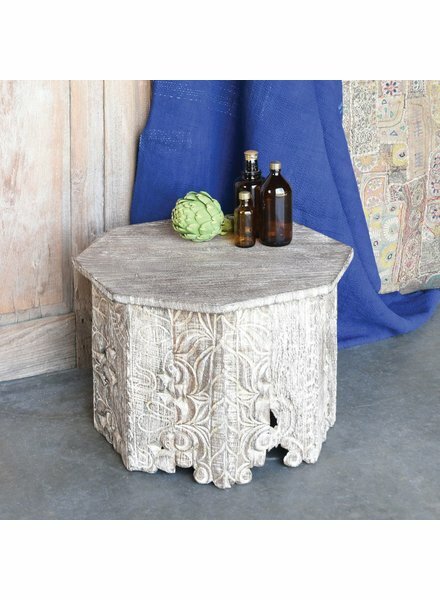 Our modern-minimalist Portico Octagon Table juxtaposes cool marble with the warmth of reclaimed wood (once used as decorative underpinnings from balconies in Colonial India) in a classic 8 sided shape that lends richness to everyday seating. 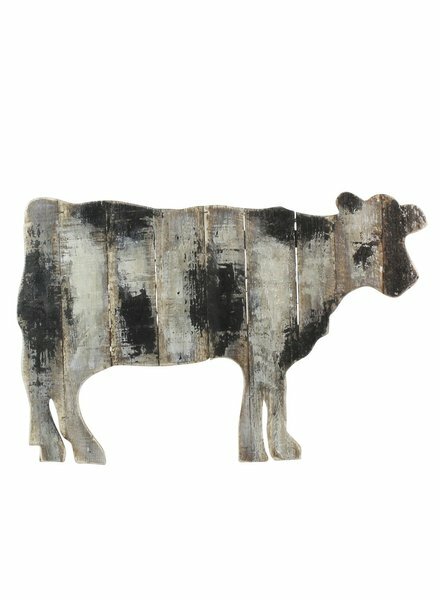 Simple yet graphic animal silhouettes stand off the wall in wide planks and a distressed painted finish. 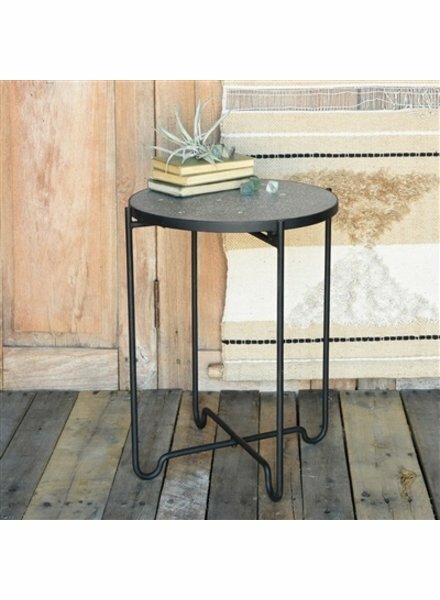 A perfect compliment to any home, porch, stable or barn! 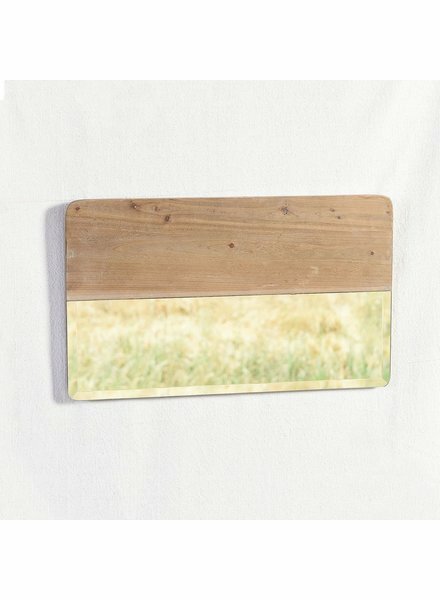 Wall mounting with 2 hangers on the backside.